China's quest to unseat Russia from the top of the charts fell short when both Peter Svidler and Alexander Grischuk won on boards #2 and #3. Grischuk has been playing magnificently as has Evgeny Bareev. 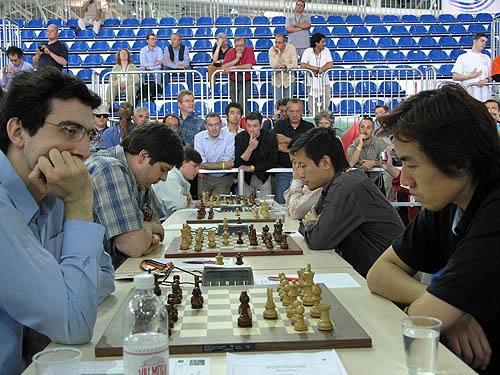 Uzekistan drew 2-2 with the Ukraine as former FIDE champion Rustam Kasimjanov beat Vassily Ivanchuk on top board. 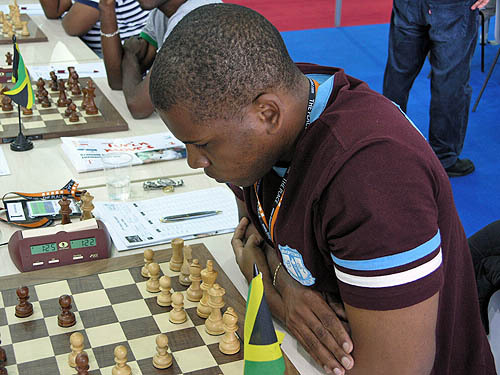 Uzebekistan got an upset victory on the last board when Saidali Iuldachev toppled Alexander Moissenko despite almost a 200-point rating difference. In other action among top boards, the "Flying Dutchman" stopped an impressive Greek team. The Netherlands look to make a run to better their 8th place showing from Mallorca. There is still a long way to go, but with Ivan Sokolov in the lineup from the very beginning, the Dutch will certainly be in the running. Armenia's win over Norway was impressive as the team loaded all their top guns to gain ground. 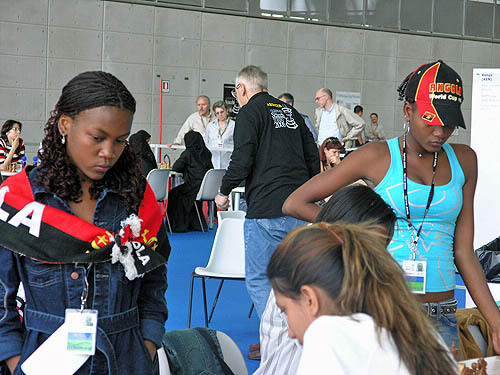 Magnus Carlsen is not in Turin (at least not yet), but it is doubtful that his presence would have made much difference. One troubling sign is India's inability to gain ground while fielding their best possible lineup. India scraped by Hungary on the strength of Suryan Ganguly's win over Robert Ruck. They are two points behind the lead and will need to play at full strength to take advantage of a probable close Russia-Armenia match. The USA crushed a strong Poland team 3-1 and continues a march toward the top. Hikaru Nakamura appears to be in good form. 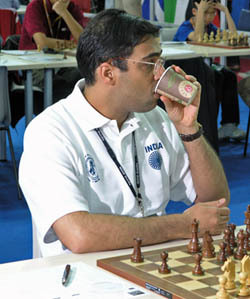 Viswanathan Anand will need to find a way to rally his troops if there is to be a chance for a medal in 2006. Photo by Daaim Shabazz.